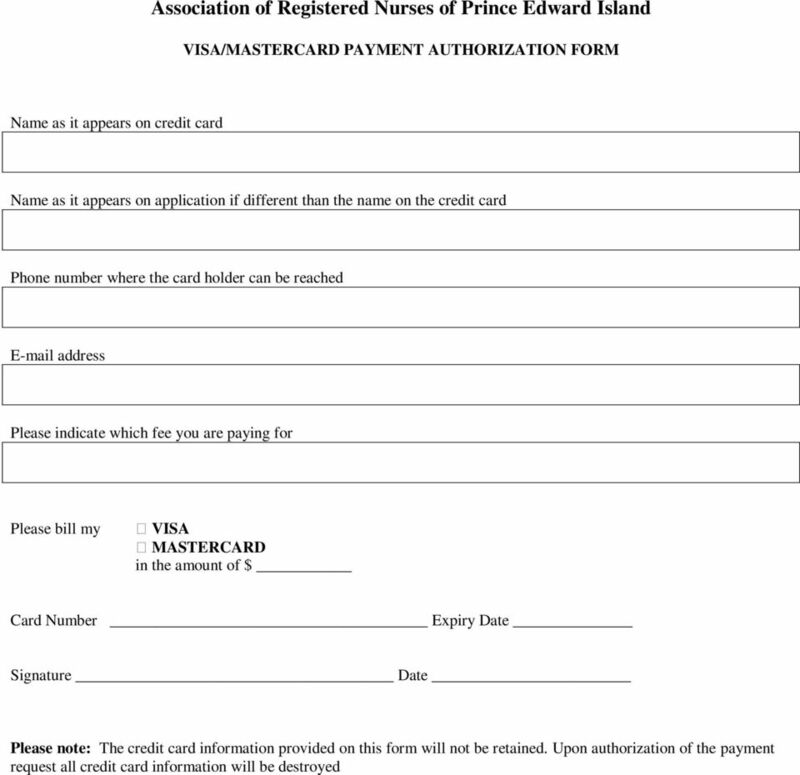 Download "ASSOCIATION OF REGISTERED NURSES OF PRINCE EDWARD ISLAND"
1 ASSOCIATION OF REGISTERED NURSES OF PRINCE EDWARD ISLAND 53 Grafton Street, Charlottetown PE C1A 1K8 Canada Tel: Fax: APPLICATION FOR ASSEMENT OF ELIGIBLITY FOR REGISTRATION The following steps/procedures must be followed when applying for registration with the Association of Registered Nurses of Prince Edward Island (ARNPEI). PART I - Complete and return to ARNPEI at the above address with the non-refundable application fee of $500 in Canadian funds copy of birth certificate copy of change of name certificates e.g. marriage/divorce certificates copy of government-issued identification with your photo on it (such as a photocopy of your passport photo page). 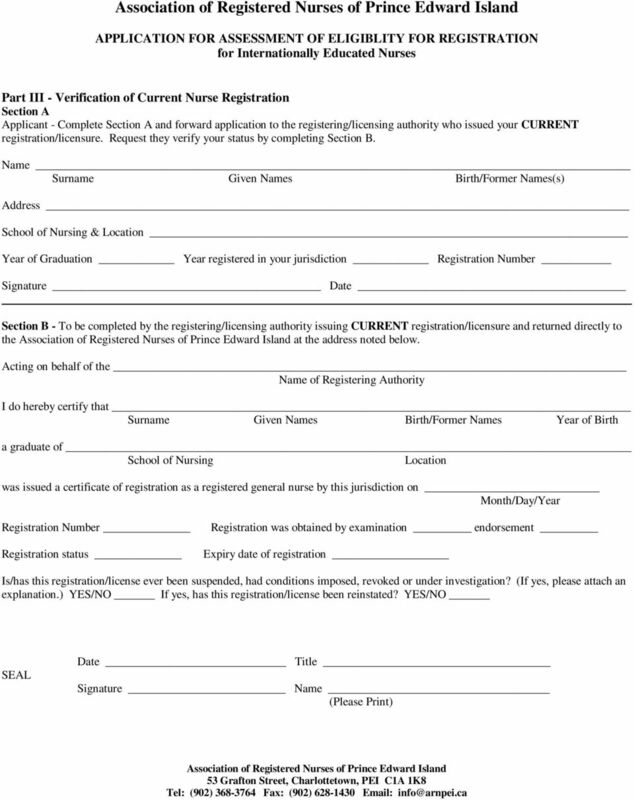 PART II - Forward to the nurse registering authority where you were originally registered, i.e. upon completion of your nursing education program, and request them to complete and return it directly to ARNPEI. PART III - Forward to the nurse registering body where you are currently registered (if different from Part II) and request them to complete and return it directly to ARNPEI. 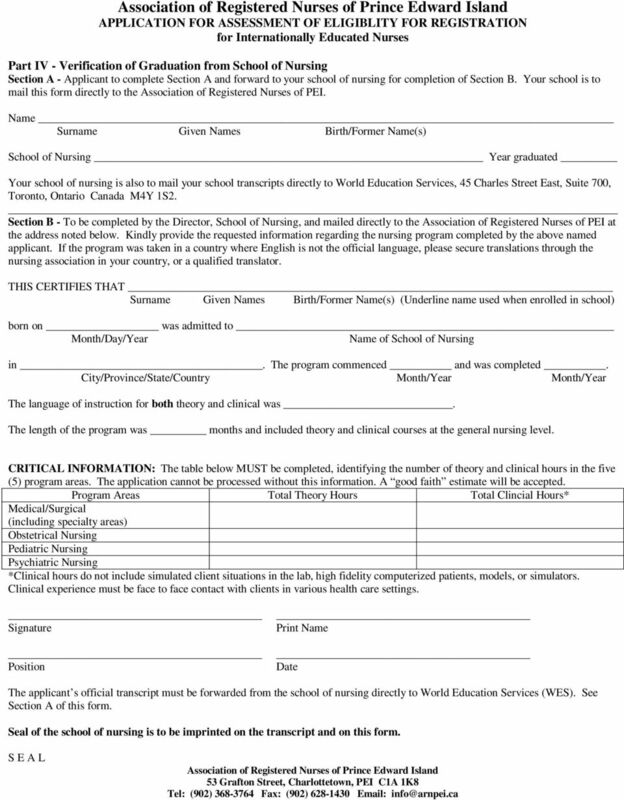 PART IV - Forward to your school of nursing and request them to complete and return it directly to ARNPEI. Applicants must have completed an approved nursing program that included both theoretical and clinical preparation in the following fields: medicine, surgery, obstetrics, psychiatry and pediatrics. When seeking a transcript of your academic records, ask your school of nursing to provide a breakdown of actual theory and clinical hours in the five areas listed above. Your application cannot be assessed without this level of hourly breakdown. 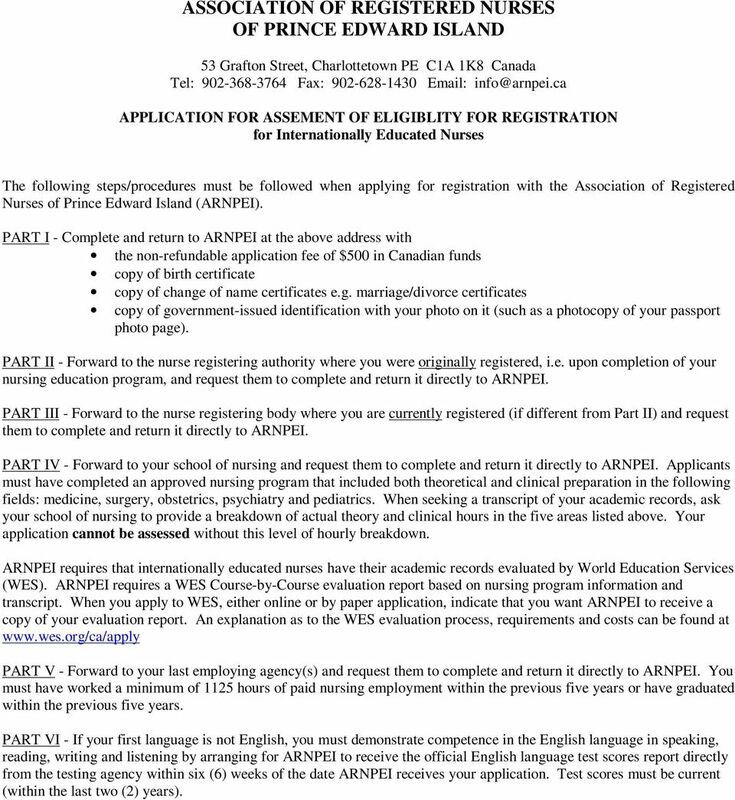 ARNPEI requires that internationally educated nurses have their academic records evaluated by World Education Services (WES). ARNPEI requires a WES Course-by-Course evaluation report based on nursing program information and transcript. When you apply to WES, either online or by paper application, indicate that you want ARNPEI to receive a copy of your evaluation report. An explanation as to the WES evaluation process, requirements and costs can be found at PART V - Forward to your last employing agency(s) and request them to complete and return it directly to ARNPEI. You must have worked a minimum of 1125 hours of paid nursing employment within the previous five years or have graduated within the previous five years. PART VI - If your first language is not English, you must demonstrate competence in the English language in speaking, reading, writing and listening by arranging for ARNPEI to receive the official English language test scores report directly from the testing agency within six (6) weeks of the date ARNPEI receives your application. Test scores must be current (within the last two (2) years). 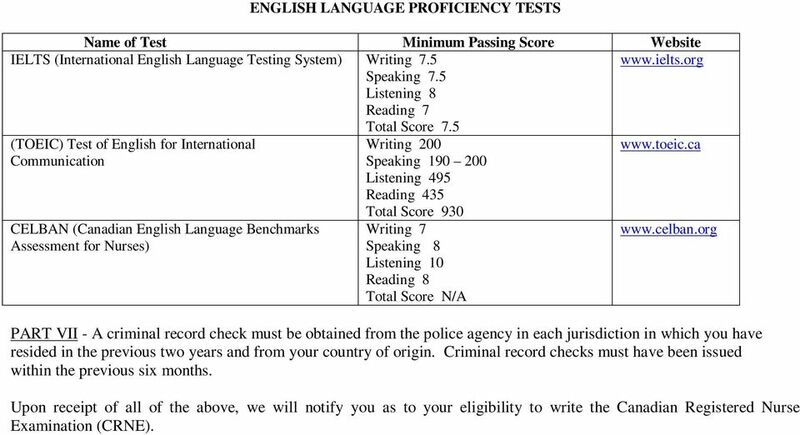 2 ENGLISH LANGUAGE PROFICIENCY TESTS Name of Test Minimum Passing Score Website IELTS (International English Language Testing System) Writing Speaking 7.5 Listening 8 Reading 7 Total Score 7.5 (TOEIC) Test of English for International Communication Writing 200 Speaking Listening 495 Reading CELBAN (Canadian English Language Benchmarks Assessment for Nurses) Total Score 930 Writing 7 Speaking 8 Listening 10 Reading 8 Total Score N/A PART VII - A criminal record check must be obtained from the police agency in each jurisdiction in which you have resided in the previous two years and from your country of origin. Criminal record checks must have been issued within the previous six months. 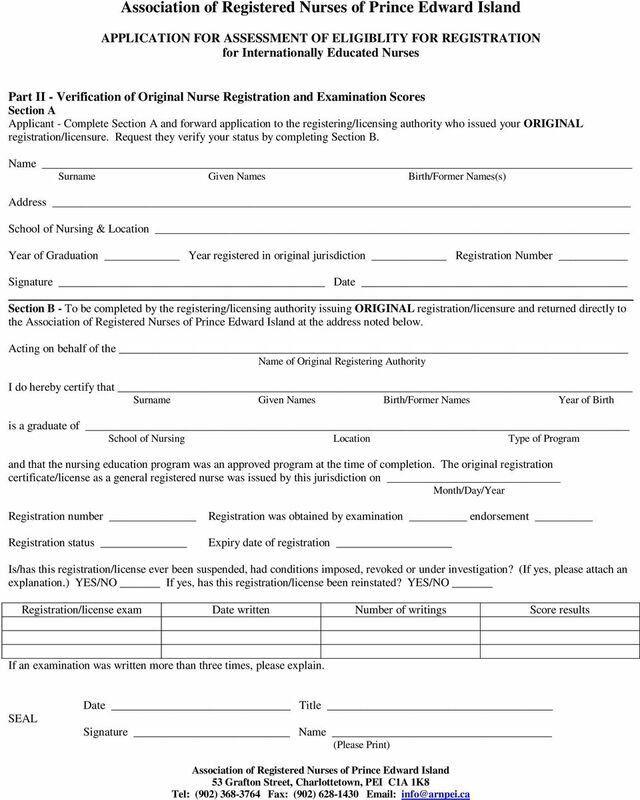 Upon receipt of all of the above, we will notify you as to your eligibility to write the Canadian Registered Nurse Examination (CRNE). 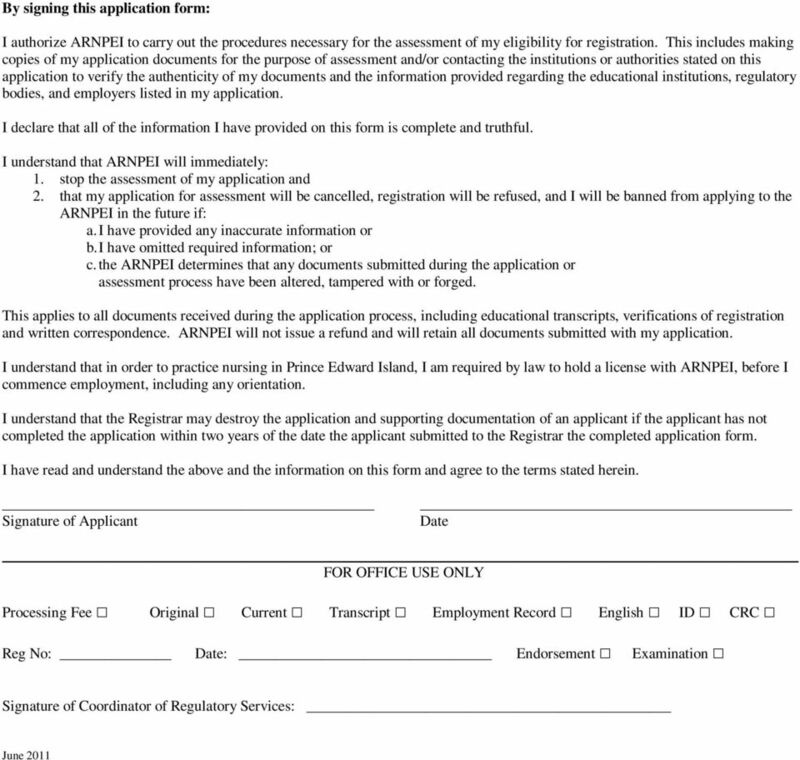 3 Part I - To be completed by the applicant and returned to the Association of Registered Nurses of PEI. Name Surname Given Names Birth/Former Name(s) Address Telephone Date of Birth Country of Birth Gender Female Male School of Nursing & Location Course Started: Course Completed: Month/Year Month/Year Nursing Experience Since Graduation: (List three most recent employers) Name and Address of Employer Position Dates Have you ever had any conditions placed on your registration or had your license suspended, cancelled, revoked or terminated for reasons of incompetence or misconduct? Have you ever been disciplined by an employer or a registration or licensing authority? Have you ever written the Canadian Registered Nurse Examination (RN exam) for registration in another Canadian jurisdiction? If yes, explain Have you ever been required/asked by another regulatory body in Canada to complete a competence assessment? (e.g. a competence assessment of your knowledge, skills and abilities using tools such as observation, interviews and written tests)? Have you ever completed a competence assessment in another Canadian jurisdiction? If you answered yes, please arrange for a certified true copy of the following to be sent to ARNPEI from the regulatory body as applicable: all letters associated with the process; the assessment report, and transcripts of education completed to bridge the gaps identified in the assessment report. Registration and Licensure as a Pharmacy Technician For applicants who have studied in Canada or worked in the field of pharmacy and are not licensed to practise as a pharmacy technician in any jurisdiction. 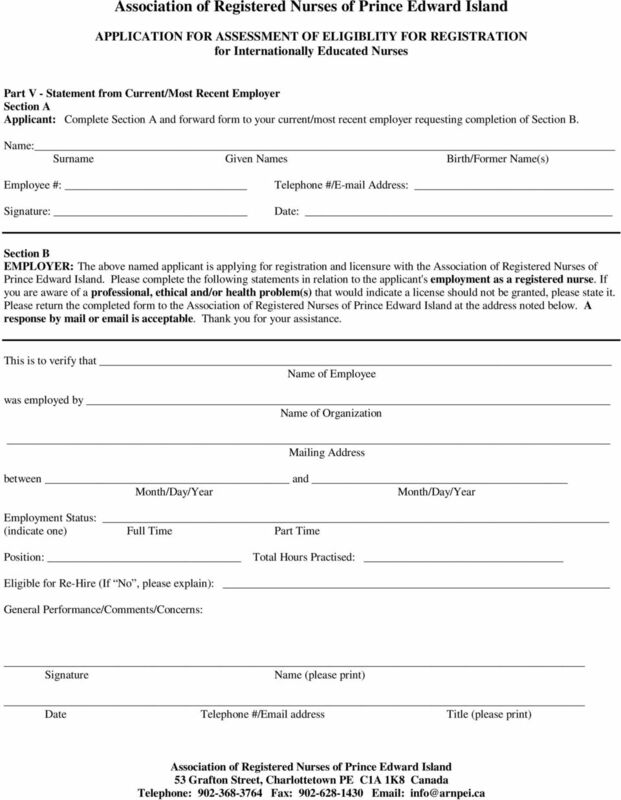 Page: 1 of 6 Effective Date: November 2014 Signature New Policy Revision: Partial X Complete Review Date: November 2017 Applies To: All applicants for registration as a Nurse Practitioner with RNANT/NU. International Student Application For Admission We look forward to reviewing your application for admission to Berkeley College. The following information will guide you through the application process. COLLEGE OF LICENSED PRACTICAL NURSES OF NOVA SCOTIA FRPA Review Report Province of Nova Scotia TABLE OF CONTENTS BACKGROUND OF THE REGULATORY BODY... 1 DEFINITION OF THE PROFESSION... 1 THE ORGANIZATION.. The College is pleased to provide this application for a Postgraduate Education certificate of registration for an elective appointment. REGISTRATION INSTRUCTIONS Please ensure you read all of the instructions completely before submitting your application for registration. All sections of the Temporary EMR Registration Form must be completed.